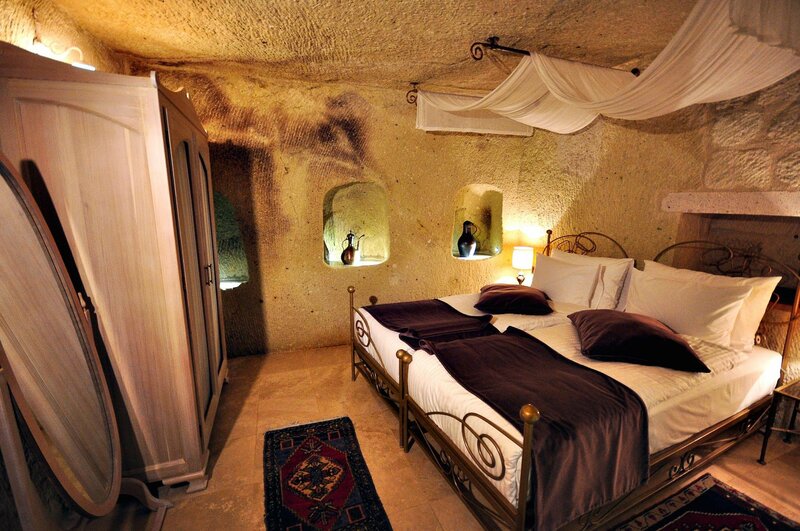 Suite 105 is an excavated rock cave room with stone arches. The comfortable upper sitting room was a storage area for straw. 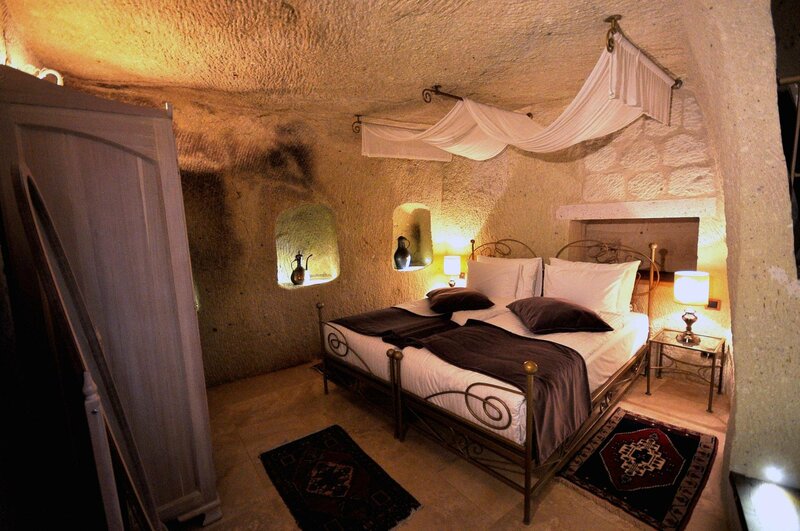 The bedroom / bathroom was a stable for the animals entered from the lower level. The large niches along the side of the bed were for animal feed. The exterior door is an original door belonging to the series of the rock dwellings that were purchased in 2006. 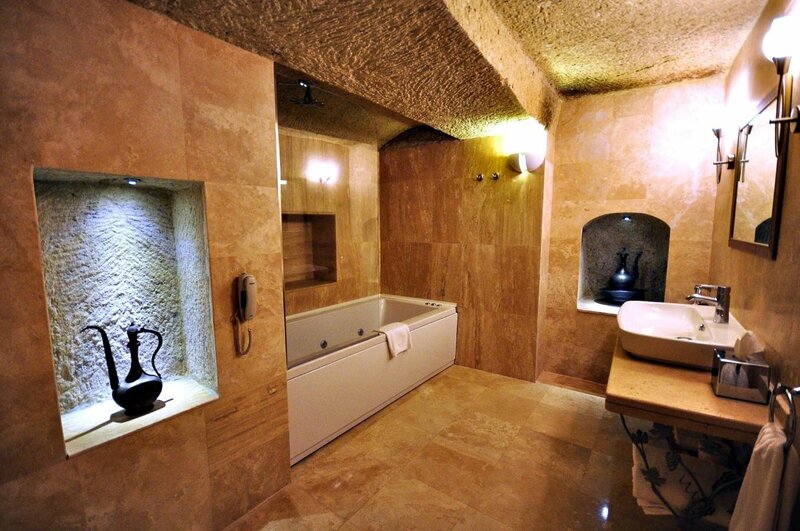 This room is in size 45 square meters with a private jacuzzi. 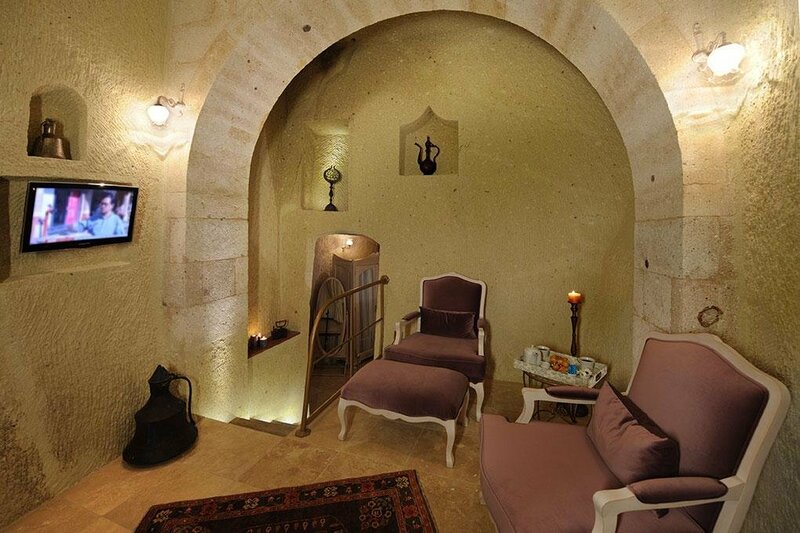 Enjoy the picturesque local village life passing by and the foyer view in this room. All rooms have tea & coffee set, wireless internet, complimentary water, safe box, filter coffee machine, iron & ironing board, mini bar, TV, bathrobe,slippers and Molton Brown bathroom stationeries.